Nestled between the vibrant districts of Kampong Glam and Bugis, Andaz Singapore – A Concept by Hyatt offers accommodations in Singapore. Guests can enjoy a drink at the in-house bar. Loved our stay at Andaz! Everything was great! Clean, comfortable, great amenities, complimentary mini bar and great breakfast! During this stay also stayed at another major hotel in Singapore and we liked Andaz more! It totally exceeded our expectations! Conveniently located above Farrer Park MRT Station, One Farrer Hotel features spacious rooms, suites and villas with free Wi-Fi and local calls. Clean, spacious, some steps away from MRT - liked it a lot; Patrick at the reception was just great! Located beside Chinatown MRT Station, PARKROYAL on Pickering boasts a dedicated wellness floor that features an outdoor pool, gym and 300-meter garden walk high above the street level. Beatiful plant-covered building with Nice staff. Super clean rooms with comfortable beds. Excellent breakfast. Good location--easy to get to China Town. Nestled within 15 acres of tropical gardens, Shangri-La Singapore offers a hideaway just 7-minutes from the hustle and bustle of Orchard Road. The staff is so friendly and stress-free! The Horizon Club Lounge is worth it if you have a tight schedule and would like breakfast at your fingertips. The hotel feels quiet and calm after a busy day. The 5-star Pan Pacific Singapore is directly connected to Marina Square Mall and Suntec Convention Center. The front desk service was accommodating especially Mr Bhati. Nestled between the vibrant districts of Kampong Glam and Bugis, Andaz Singapore – A Concept by Hyatt offers accommodations in Singapore. Guests can enjoy a drink at the in-house bar. Loved our stay at Andaz! Everything was great! Located in the heart of the vibrant Orchard Road district, YOTEL Singapore Orchard Road offers smoke-free accommodations in Singapore. Awesome location, hotel and stay. Breakfast was good too. Right across orchard metro. Situated in Singapore, in a building dating from 2010, a quarter mile from Mustafa Centre, Hilton Garden Inn Singapore Serangoon features guestrooms with free WiFi. really nice and helpful staff! Located in Singapore, 218 yards from Singapore Art Museum, Hotel Mi has an outdoor swimming pool and a fitness center. The hotel was perfect for my needs. Located along Beach Road just minutes away from the culturally vibrant district of Kampong Glam, Destination Singapore Beach Road offers accommodations in Singapore. 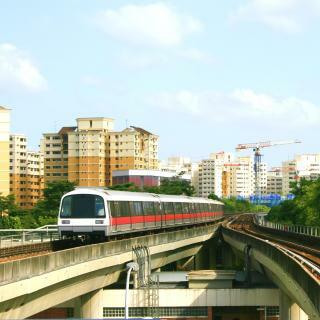 Located at a very close distance to amazing places, MRT station just few minutes walk. Nestled in the heart of vibrant Robertson Quay along the iconic Singapore River, M Social Singapore offers accommodations away from the hustle and bustle of the city. It's just great - the rooms, the breakfast, the pool, the location, the staff..
Annexed to Katong Square, Holiday Inn Express Singapore Katong offers contemporary-styled rooms in the heritage area of Katong in Singapore. Place is perfect, good food at breakfast and free cellphone to carry around. Aerotel Transit Hotel offers hourly accommodations at the Transit Lounge in Terminal 1 of Singapore Changi Airport. Quiet, appreciated the slippers and water. Bed was very comfy, pillows were decent as well. Opened in November 2016 and set in a restored, traditional heritage shop house, Hotel Mono provides accommodations in the heart of Chinatown. It is located along Mosque Street. Great Chinatown location and one street over from the underground train network. 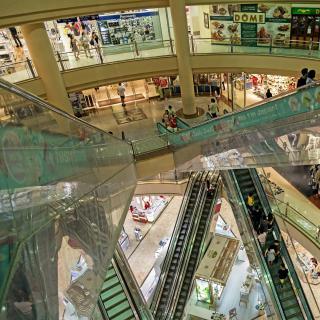 Located just 1148 feet from Chinatown MRT Station and steps from transport links and shopping outlets, The Southbridge Hotel offers accommodations in Singapore. Location, and easily accessible room. 650 feet from Kwan Im Thong Hood Cho Temple, Hotel G Singapore is situated in Singapore and features a fitness centre and free WiFi. Excellent location- stone throw away from bugis shopping centre and mrt. The iconic Raffles Singapore provides a relaxing getaway in the heart of the city. The hotel is a 5-minute walk from City Hall MRT Station and Raffles City Shopping Center. One of the few remaining grand 19th Century hotels, immaculately maintained and modernized. Towering over Marina Bay, Mandarin Oriental, Singapore, features an outdoor pool with stunning cityscape views and a luxurious spa. Guests can keep fit at the gym or with Yoga classes. Amazing buffet breakfast; helpful staff and close to the marina. Located within Marina Bay, Conrad Centennial Singapore is a 3-minute walk from Promenade MRT station. Offering city or bay views, it features an outdoor pool, 3 dining options and a spa. Its really comfortable place to stay in. Close to the main attractions. Rich in colonial style, the luxurious 5-star Hotel Fort Canning offers complimentary WiFi, 2 outdoor pools and an exclusive pillow menu. Although this hotel is slightly out of the way to Orchard Road, it is walkable to in 10 mins. One of Southeast Asia's tallest hotels, Swissôtel The Stamford is located above City Hall MRT Station. It has a spa, 2 pools, and 15 dining options including a rooftop bar. Its hospitality and staff behaviour. Which hotels in Singapore have nice views? The Capitol Kempinski Hotel Singapore, The Ritz-Carlton, Millenia Singapore, and Marina Bay Sands got great room view-related reviews from travelers in Singapore. Which hotels in Singapore offer an especially good breakfast? For hotels in Singapore that serve highly-rated breakfasts, try Shangri-La Hotel Singapore, Raffles Singapore, and Mandarin Oriental, Singapore. Which hotels are the best ones to stay at in Singapore? Four Seasons Hotel Singapore, The Ritz-Carlton, Millenia Singapore, and Hotel Indigo Singapore Katong are some of the popular hotels in Singapore. Which hotels in Singapore are good for couples? These hotels in Singapore are highly rated by couples: Six Senses Maxwell, The Fullerton Bay Hotel Singapore, and The Capitol Kempinski Hotel Singapore. The average price per night for a 3-star hotel in Singapore this weekend is VND 5,359,091 or, for a 4-star hotel, VND 8,213,346. Looking for something even fancier? 5-star hotels in Singapore for this weekend cost around VND 13,888,206 per night, on average (based on Booking.com prices). Which neighborhood is the best one to stay at in Singapore? Orchard, Little India, and Bugis are popular with other travelers visiting Singapore. 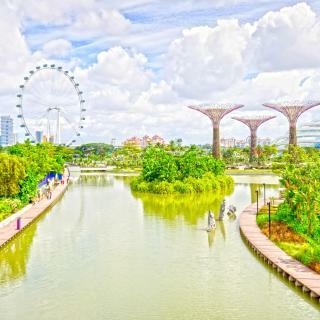 Travelers who stayed in Singapore near Changi Airport (SIN) have said good things about The Haven by JetQuay, Crowne Plaza Changi Airport, and Ambassador Transit Lounge Terminal 2. What are the best hotels in Singapore near Mustafa Center? Some of the best hotels in Singapore near Mustafa Center include Fisher BnB, One Farrer Hotel and The Vagabond Club, A Tribute Portfolio Hotel by Marriott, Singapore. On average, 3-star hotels in Singapore cost VND 2,439,656 per night, and 4-star hotels in Singapore are VND 3,443,784 per night. If you're looking for something really special, a 5-star hotel in Singapore can be found for VND 7,360,380 per night, on average (based on Booking.com prices). 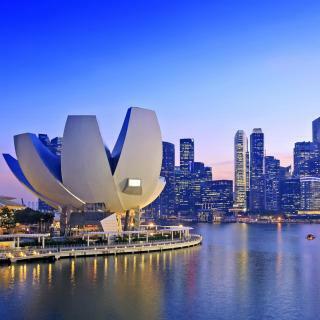 Many families visiting Singapore loved staying at The Capitol Kempinski Hotel Singapore, The Ritz-Carlton, Millenia Singapore, and The Fullerton Hotel Singapore. On average, it costs VND 2,440,772 per night to book a 3-star hotel in Singapore for tonight. You'll pay around VND 4,592,877 if you choose to stay in a 4-star hotel tonight, while a 5-star hotel in Singapore will cost around VND 9,237,299, on average (based on Booking.com prices). 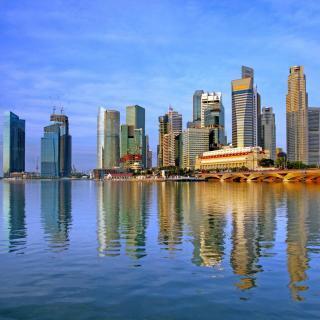 Clean, compact and compelling, Singapore seamlessly combines the best of Asia. Different cultures and cuisines live side by side, while maintaining their own identity. 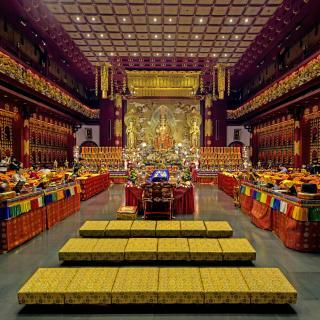 Behind the bright lights of Chinatown is cheap and delicious dim sum, while Little India is a sensation for the senses. Wander past the pastel-painted facades of Malay-dominated Geylang Seari for a taste of days gone by, then stop off at the Colonial-style Raffles Hotel, birthplace of the Singapore Sling cocktail. For a retreat from the hustle and bustle, take the cable car to the sandy beaches of Sentosa, an island just south of the city center. Also here is Universal Studios Singapore, a theme park brimming with the magic of the movies. As you’d expect from the host of the world’s only Formula 1 night race, once night falls, Singapore is still very much alive. Its Night Safari is a zoo providing the rare chance to see nocturnal animals going about their business. Although small enough to see on foot, Singapore has an efficient public transport system which extends as far as Singapore Changi Airport. 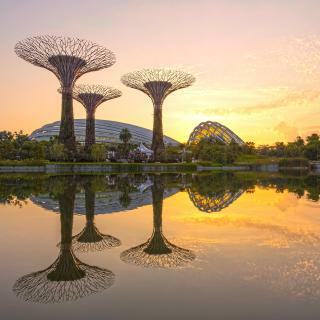 With a choice of Singapore accommodations ranging from budget hostels to luxury hotels, Booking.com is bound to have the right choice for your holiday. Hotels are a bit pricy for Asia, but if you can find reasonable accommodation you don't need many days to cover a lot in this compact nation. The food and transport are cheap and safe everywhere so location is not a big deal-breaker. Food courts with multiple specialty stalls are all over; even within air-conditioned shopping centres. Don't worry about rain; carry a cheap umbrella or not but raincoats will be too hot. And if your hotel doesn't offer a buffet breakfast, just take the opportunity to eat like a local and have kaya toast + kopi for next to nothing. Save room for lunch & dinner! - A lot of man-made wonders in a small island. You will get to see everything you dream of in this small country. Small yet beautifully made and maintained. The first thing you will notice is the cleanliness of the streets and areas. There is always something new developing in the city. For Everything beautiful in the city, you have to pay for it. Hotels are quite costly, compared to their facilities and room size. Food could be cheap to highly expensive, whichever you prefer. Shopping can make a big hole in your wallet, but if you are lucky enough you can get big discounts!! Wonderful place to work....and of course to make a short trip with your FnF. Clean and modern city. Liked the hop on bus and also the metro. The biggies to see are the Gardens by the Bay and the Bay Sands Hotel. There are plenty of activities for children in this city. A drink or Italian food at Raffels, the historic hotel is fun for adults. Good museums and modern architecture. Hotel near to Kampung Glam, many nice malay foods over there. Left of the hotel ia the awesome M.A.Deen Biasa, special for Sup tulang Merah. The MRT is a bit far though, 10 minutes to Bugis/Lavender MRT. Just take a relaxing stroll and stop by for a quick bite at Kampung Glam before heading to MRT.